How to add signature and company logo in order PDF and Excel ? 1.Take Picture of your signature from your mobile camera. 3. Make sure Signature configuration for PDF should be “ON” from settings(PDF Configuration). 4. 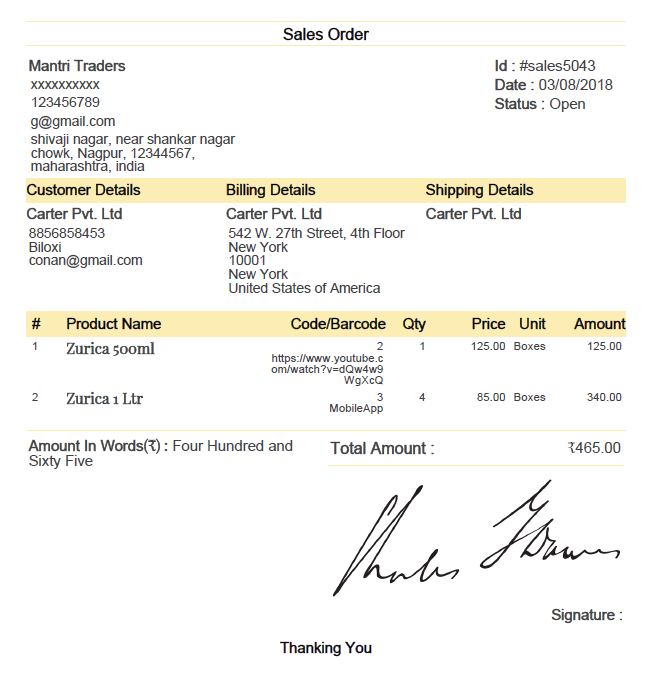 Now when you will create Order PDf and share it, It will have that signature will be printed (no need to write signature every time).